The list of Monsanto abuses and criminal activities is long. Now, however, it seems her chickens are coming home to roost and maybe to do more. residents reported increases in blood markers of chromosomal damage (micronuclei) after glyphosate was sprayed nearby.” Monsanto was hardly thrilled at that we can be sure. The WHO report was followed by a total ban on commercial planting of GMO seeds in the Russian Federation. 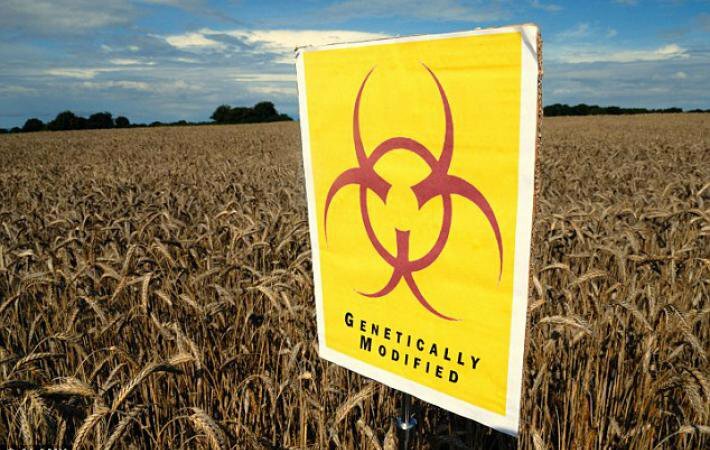 There followed as well a decision to ban all GMO by 19 of 28 EU countries, including France and Germany, a further devastating blow to Monsanto and the GMO lobby. Then in September, a Monsanto herbicide again got hit bad when a French appeals court confirmed that Monsanto was guilty of chemical poisoning, upholding a 2012 ruling in favor of Paul Francois, whose lawyers claimed the company’s Lasso weed-killer gave the grain farmer neurological problems, including memory loss and headaches. To add to Monsanto woes, the State of California issued a notice of intent to list glyphosate as a carcinogen, the first regulatory agency in the US to determine that glyphosate is a carcinogen, according to Dr. Nathan Donley, scientist at the Center for Biological Diversity. These major setbacks have had a serious impact on the GMO and chemicals company. The price of Monsanto stock has fallen from a recent February high of $125 a share by 29%. With sales falling, Monsanto has announced it will slash 2,600 jobs, 12 percent of its workforce, and spend $3 billion to buy back stock shares, a form of financial (as opposed to genetic) engineering—they magically boost a company’s earnings-per-share ratio simply by removing shares from the market. To make matters even worse, the Monsanto strategic takeover of the Swiss GMO and agrichemical giant, Syngenta, has collapsed. Since 2011 Monsanto’s strategy has been to pair with Syngenta. Syngenta is the world’s largest chemical herbicide and pesticide maker, with a far smaller part of revenue from its patented GMO seeds. Monsanto by contrast is the world’s largest GMO seeds purveyor and seed-owner, but has a relatively small share of profit from sale of its agrichemicals. In late August Monsanto offered Syngenta– infamous for its controversial atrazine herbicide and neonicotinoid pesticides—$47 billion. The Swiss company refused the bid, and Monsanto was forced to withdraw. The reason for the Syngenta takeover attempt was Monsanto’s determination to lessen dependency on sale of its GMO seeds, where problems are obviously mounting, and focus more on profits from weed-killing chemicals. That signals that it is not the “miracle” character of GMO seeds that interest Monsanto. Now they want to focus on toxic chemicals to raise the levels of toxins in animals, crops and the human population. 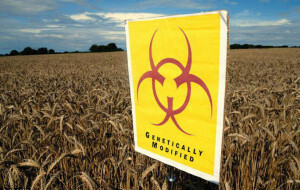 In a desperate move to hold ground and prevent GMO food labeling in the United States, Monsanto has been doing heavy lobbying of the US Congress to pass a national law prohibiting any labeling of food that contains GMO. Although 80 percent of all packaged food sold in America contain GMOs, consumers are kept in the dark because the US is one of the few places in the developed world that doesn’t require food producers to disclose if their products contain GMO as is required by law in the EU. A new US law backed by Monsanto and the GMO lobby has passed the House of Representatives and is now being debated in the Senate. The bill, H.R. 1599, misleadingly named “Safe and Accurate Food Labeling (SAFE) Act,” would make federal GMO labeling voluntary, while prohibiting states from labeling GMOs. The aim is to overturn a move by individual states, in absence from national labeling, to force state labeling. A recent New York Times poll showed that 93 percent of Americans want GMO foods to labeled as such, with three-quarters of survey respondents expressing concern about GMOs in food. Monsanto money may buy the passage of H.R. 1599, which anti-GMO activists label the “DARK act,” intended to keep Americans in the dark about the food they eat. But the future of GMO is clearly looking worse for Monsanto and her Rockefeller Foundation backers than at any time since Monsanto’s fateful 1992 White House meeting with Papa Bush. This entry was posted on November 20, 2015 by conspiracyanalyst in Genetic Manipulation, GMO Foods, Health & Wellness, International News and tagged GMO chickens, GMO Foods.